Bomar Crystal produces TCXOs and VCTCXOs with a wide range of options. 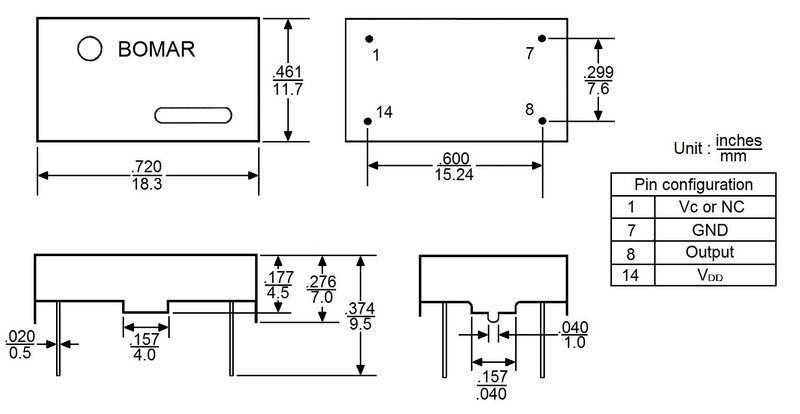 They are available in LVDS, LVPECL, HCMOS, TTL/CMOS square wave, or clipped sinewave outputs. TCXO and VCTCXO frequency stability is available to 0.5 ppm within an operating temperature range of -40° to +85° C. Extremely low jitter is standard. 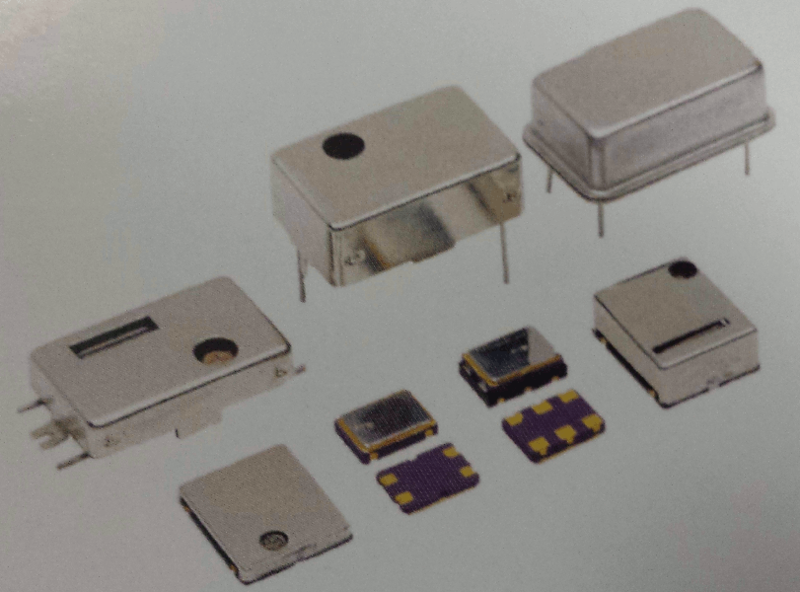 Packages include Thru-hole (full and half size) or ceramic SMD packages. All TCXOs are RoHS compliant and excellent for all tight tolerance applications. Without trimmer: 3ppm at 25ºC. Output Voltage TTL Logic High: 2.4V min. / Logic Low: 0.4V max. CMOS Logic High: 90% Vdd min. / Logic Low: 10% Vdd max. Output Voltage +3.3V : 0.8V p-p min. +5.0V : 1.0V p-p min. Current Consumption +3.3V : 1.0mA max. Note: Parameters shown above for TCXO and VCTCXO are general specifications. Detailed specification sheets for TCXO and VCTCXO are available upon request. Call for details. Above are the most common packages but there are many other packages available. Please contact Sales with your specific requirements.